This weekend, Deadpool officially became the second X-Men character to get their own spinoff movie (he’ll soon be followed by Gambit). 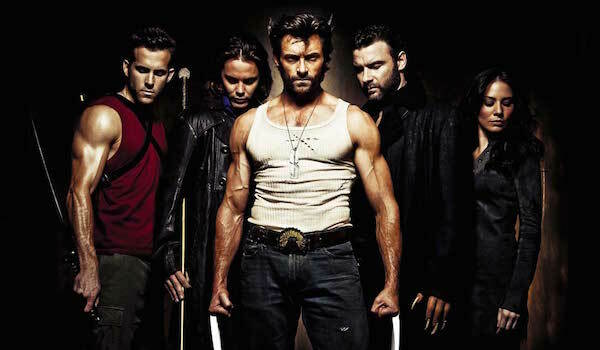 In the lead up to the movie, there were a lot of questions about how specifically the movie would fit in with the rest of the X-Men cinematic universe, but it was later confirmed that it would exist within the same world despite the continuity issues with Wade Wilson’s previous theatrical appearance, 2009’s X-Men Origins: Wolverine. However, following suit with Deadpool in the comics, the movie felt more separate than the main series, even more so than the Wolverine movies. That makes sense, given how Deadpool functions more often as an independent entity than a supporting X-Men character. Thankfully, despite its loose connection to the rest of the movies, Deadpool didn’t leave audiences without any X-Men elements. Some were obvious, like character appearances and plot elements, others were snarky, fourth wall-breaking comments about the franchise as a whole. After looking over our notes, we’ve compiled the nine best X-Men references Deadpool offered. For all you fans keeping track at home, here are the Easter Eggs and other fun nods towards the world of mutants the movie delivered! Warning: there will be spoilers for Deadpool from this point forward! Let’s get the easy ones out of the way first. 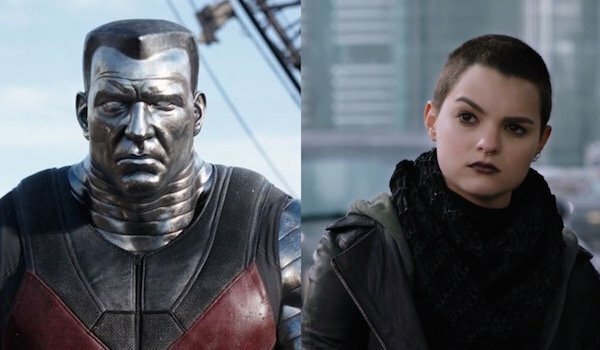 Colossus and Negasonic Teenage Warhead are two of the movie’s principal characters, though instead of being directly connected to Deadpool’s revenge mission, they’re trying to get him to become a superhero. Well, the giant, metal man might care more about that than the apathetic, explosive teenager. In the comics, Negasonic Teenage Warhead only appeared in a couple issues as Emma Frost’s student before she was killed off, so Deadpool is her second chance at fame. As for Colossus, he previously appeared in X2: X-Men United, X-Men: The Last Stand and X-Men: Days of Future Past, but he barely spoke and wasn’t developed as a character. Deadpool is undoubtedly his most important movie appearance yet, even if we never saw him out of his metal form. While Wade is looking for his Wham! record to show Vanessa, he moves a strange-looking action figure aside who was immediately familiar to superhero movie fans as Weapon XI. 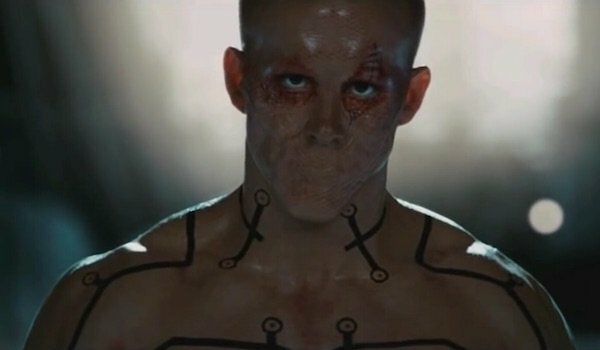 As mentioned earlier, in the latter half of X-Men Origins: Wolverine, Wade Wilson returned to the screen, but thanks to William Stryker’s experimentation, his mouth was sewn shut and he had been given multiple super powers. This version of the character earned the nickname "Barakapool" from fans and was ridiculed for being nothing like how Deadpool is in the comics. If we had the action figure instead of Wade, we would have sold that thing at a garage sale by now. Let’s also be thankful Ajax didn’t carry out his threat to sew Wade’s mouth shut in this movie. That’s one moment we never need to see repeated. 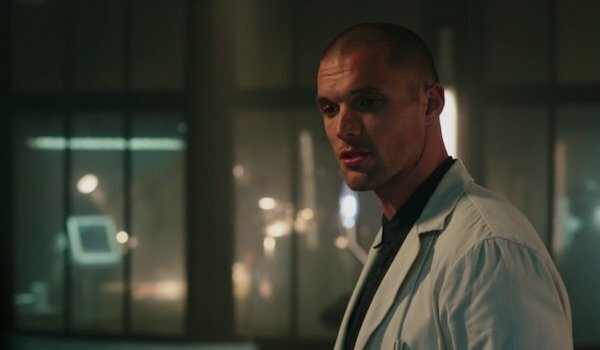 Throughout Deadpool, Ajax and The Recruiter (Jed Lees’ character) simply refer to the horrifying experiments being run on Wade and the other patients simply as the "program," or with an equally vague term. Despite not being specifically identified in the movie, this underground program is intended to be Weapon X, which was previously glimpsed in flashbacks in the original X-Men movie trilogy and fully seen in X-Men Origins: Wolverine. Just like in the movie, they cured Wade Wilson of his cancer and gave him his healing factor. However, they’re most famous for bonding Wolverine’s skeleton with adamantium. It’s unclear if Deadpool’s Weapon X is under similar, government-sponsored leadership as in the previous movies or if they’ve branched off so they wouldn’t be burdened with restrictions. Other mutants who have been affected by Weapon X in the comics include Sabretooth, Agent Zero, X-23 and Copycat. 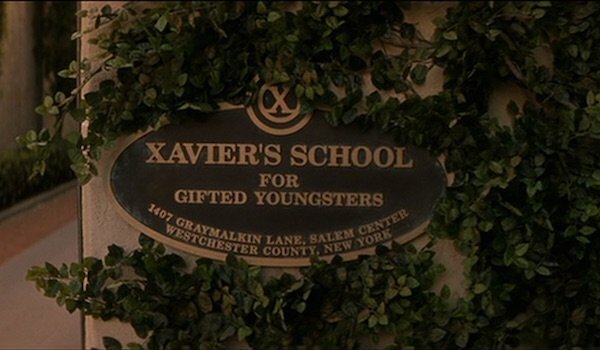 There are two glimpses of Professor Xavier’s School for Gifted Youngsters in Deadpool. The first is when Colossus is having breakfast in the kitchen and sees Deadpool’s highway slaughter on the news. He immediately grabs trainee Negasonic Teenage Warhead, and they hightail it over to Wade Wilson’s location on the Blackbird jet. Wade later stops by the X-Mansion to ask for the two mutants’ help in saving Vanessa from Ajax and Angel Dust. Wade also comments on how there’s suspiciously only two people living in such a gigantic house, leading him to correctly assume that the studio couldn’t afford to throw other X-Men into the mix. Surely Deadpool 2 will get an increased budget, allowing for a few more members of the mutant superhero team to cameo, right? After Ajax escapes from Deadpool’s clutches, Deadpool attacks Colossus out of his frustration. Of course, since the Russian mutant is entirely covered in steel, this only results in Wade breaking both his hands and one foot, making a nice callback to Monty Python and the Holy Grail. Colossus then handcuffs Wade to him and says they’re taking him back to the Professor, promoting the Merc with the Mouth to respond, "McAvoy or Stewart?" 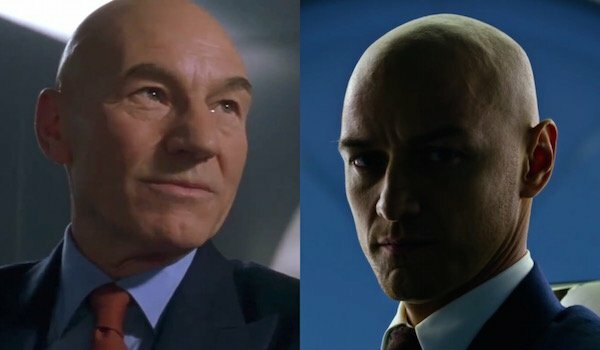 He’s of course referring to actors Patrick Stewart and James McAvoy, the former playing the elder Charles Xavier and the latter playing Xavier from the ‘60s to the ‘80s, a.k.a. the First Class years. Thanks to Deadpool’s fourth wall breaking, he’s the only one who knows the difference between these two, and it’s like he says, these new timelines are "so confusing." This is the most minor entry on the list, but it’s still worth pointing out. At the end of the movie when Wade and Vanessa reunite, Wade gets irritated when Colossus and Negasonic Teenage Warhead are still hanging around. Getting frustrated, Wade demands the mutant superheroes get lost, and also asks Colossus to tell Beast to "stop shitting on my lawn." 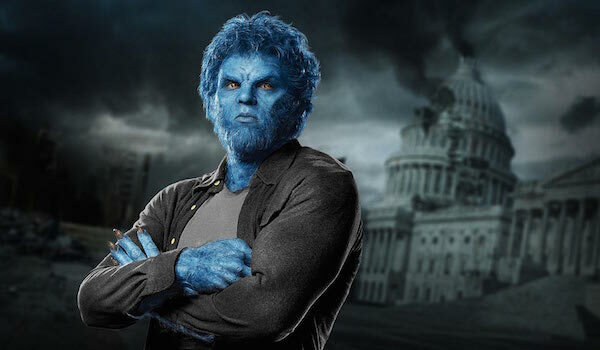 Ignoring that brief Hank McCoy cameo in X2: X-Men United, Beast was first played by Kelsey Grammer in X-Men: The Last Stand, but his younger self, played by Nicolas Hoult, has achieved more fame being one of the First Class trilogy’s main characters. There’s no secret plot twist or Easter Egg hidden in this comment, it was just a fun insult towards one of the oldest X-Men. As an obvious homage to 1986’s Ferris Bueller’s Day Off, Deadpool’s post-credits scene had the Merc walk out in a bathrobe to tell the audience to go home. Fortunately, seconds later he popped his head out again to say that Cable will appear in Deadpool 2, citing his bionic arm and time traveling as reasons moviegoers will love him. No actor has been chosen yet to play him, though Wade offered Mel Gibson, Dolph Lundgren and Keira Knightley as potential candidates, though Avatar’s Stephen Lang has also thrown his hat into the ring to play the badass mutant. Aside from his affiliation with teams like the X-Men, New Mutants and X-Force, Cable, also co-created by Rob Liefeld, is well known for his bizarre partnership with Deadpool. 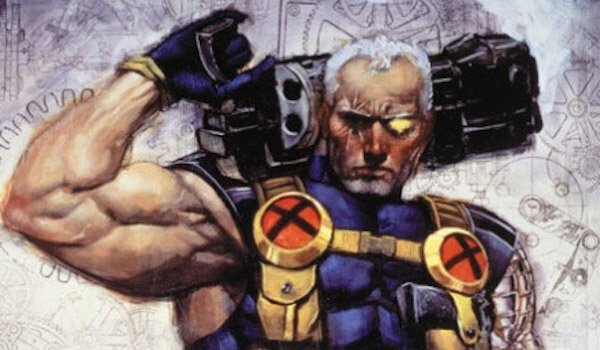 There was talk about including Cable in Deadpool 2 before the first movie came out, and now that the sequel’s a go, we’ll finally get to see him realized on the big screen. Depending on how fast production gets started, maybe we’ll find out who’s playing Cable by the end of the year. Chicka, chicka! What Was The Best X-Men Reference In Deadpool?